Jeff Sprecher, Intercontinental Exchange chairman and CEO, with his wife Kelly Loeffler, an ICE executive who will be CEO of the startup Bakkt, on the trading floor of the NYSE on July 9, 2018. Backed by Microsoft and Starbucks, Intercontinental Exchange is launching a startup called Bakkt to make the cryptocurrency safe for your retirement fund, and maybe for retail, too. If the Bakkt blueprint works as planned, a panoply of new Bitcoin funds would tap the pent-up demand for the cryptocurrency, making it a safe and easy choice for everyday investors—notably millennials getting their first 401(k)s. Wall Street could then tap Bitcoin’s popularity as an alternative to stocks and bonds to generate giant trading volumes. And that flood of institutional buying and selling, in turn, would take the terror out of Bitcoin by smoothing its wild swings in price. The volatility of the cryptocurrency has both attracted individual speculators and scared off institutional money. In the fall of 2017, the price of Bitcoin spiked from $6,400 to nearly $20,000; it has since fallen back to around $7,700. Cracking the 401(k) and IRA market for cryptocurrency would be a huge win for Bakkt. But the startup’s plans raise the prospect of an even more ambitious goal: Using Bitcoin to streamline and disrupt the world of retail payments by moving consumers from swiping credit cards to scanning their Bitcoin apps. The market opportunity is gigantic: Consumers worldwide are paying lofty credit card or online-shopping fees on $25 trillion a year in annual purchases. Bakkt’s founders tell Fortune that the institutional investor campaign is the first of two phases. They’re a little coy about the second phase. But the presence of Starbucks and Microsoft strongly suggests that Bakkt will strive to revolutionize the way consumers pay at the mall and online. The coffee giant is already a leading player in encouraging customers to pay with the their smartphones rather than their credit cards. And Microsoft, through its Azure cloud business, serves a huge base of retailers, handling back-office tasks from invoice processing to e-commerce. “As the flagship retailer, Starbucks will play a pivotal role in developing practical, trusted, and regulated applications for consumers to convert their digital assets into U.S. dollars for use at Starbucks,” said Maria Smith, vice president, Partnerships and Payments for Starbucks, in the press release. People walk outside the Microsoft store on Fifth Avenue in New York City on April 26, 2018 in New York. Today ICE is the world’s second largest owner of financial exchanges by revenue behind the CME, and one of the largest purveyors of market data. ICE’s 2017 revenues of $4.6 billion divide pretty evenly between those two main franchises. ICE owns twelve exchanges, served by six clearing houses. And to the delight of shareholders, Sprecher has delivered profitability as much as growth. Since going public in 2006, ICE has delivered annual total returns of 24.1%. The company’s towering 54% margin of net profits ranked fourth in the S&P 500 last year. Even in the heavily-fragmented galaxy of stock and bond trading, ICE has established a Brobdingnagian footprint. The NYSE is by far world’s largest stock market, trading 1.5 billion shares a day—or nearly one-in-four of all equity transactions. ICE also owns NYSE American, the leading platform for mid-cap companies, as well as Arca, the world’s largest marketplace for ETFs. ICE is the world leader in almost all categories of futures for “soft” agricultural commodities such as sugar, coffee, and cotton, chiefly through its 2007 acquisition of the New York Board of Trade. And ICE Futures Europe is the dominant global marketplace for the Brent crude, the global oil price benchmark. Now Sprecher, the visionary who assembled this empire, is crusading to make Wall Street asset managers and Main Street consumers love Bitcoin. Sprecher and his investment partners are putting this one-of-a-kind mission in the hands of a first-time CEO who’s Sprecher’s soulmate in both business and in life: Kelly Loeffler. The ICE executive has ridden shotgun alongside Sprecher since the company’s fledgling days in 2002. In 2004, they married. Loeffler long ran marketing, investor relations, and communications for ICE. Now she’s giving up her ICE roles to run Bakkt. 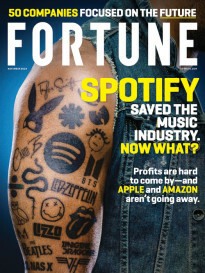 Over the past two months, Sprecher and Loeffler sat for several hours of exclusive interviews with Fortune. Above all, they emphasized how Bakkt, in part by exploiting ICE’s trading infrastructure, could provide precisely the tools Bitcoin needs to achieve broad acceptance. At a recent meeting with the couple in the plush Bond Room at the NYSE, Sprecher stressed that Loeffler has been a collaborator in charting ICE’s next big move. “Kelly and I brainstormed for five years to find a strategy for digital currencies,” says Sprecher. If they succeed with Bakkt, it could be the biggest development in the churning, hazardous frontier of cryptocurrencies since a mysterious programmer (or programmers) under the pseudonym Satoshi Nakamoto unveiled Bitcoin in 2009. Sprecher and Loeffler disagree, arguing that a strong central infrastructure is precisely what’s needed, and that ICE and its partners are the ones to supply it. The challenge is getting the banks, asset managers, and endowments to embrace Bitcoin. “Being from the exchange world, we looked at the problem differently,” says Loeffler. The big institutions are ICE’s main customers, and Sprecher and Loeffler understood their thinking about crypto-currencies. They reckoned that Bitcoin could thrive as a mainstream investment because the big money managers recognize that ten of millions of their current and future investors want to own it––if it can be packaged as mutual funds and ETFs. “The institutions saw that Bitcoin had lots of appeal as a store of value like gold or silver,” says Loeffler. Cryptocurrencies today serve primarily as a vehicle for speculation by daredevil traders, and by the hedge funds that own 80% of the roughly $300 billion in digital currencies worldwide. (Bitcoin is by far the biggest cryptocurrency for now, with a recent total value of around $134 billion.) The combination of rampant betting and relatively arid liquidity sent Bitcoin careening through four bear markets in the decade since its creation. “The result is a crisis of confidence,” says Loeffler. In addition, the freewheeling Bitcoin ethos clashes with the ultra-cautious, post-financial crisis mindset on Wall Street that emphasizes safeguarding the investor at all costs. “People at the big institutions have the view that cryptocurrencies can be unsavory actors procured by elicit means,” says Loeffler. But Sprecher and Loeffler concluded that fragmented marketplaces and alien culture weren’t the real reasons the institutions avoided Bitcoin. In their view, a broad universe of fans wanted to invest in Bitcoin or other digital tokens, but couldn’t find the right products. The solution: A new ecosystem that provided Bitcoin the same protections afforded the stocks, bonds, and commodities futures traded on ICE’s exchanges. That would open an investor universe far beyond a relatively small group of retail customers and adventurous hedge funds. Put simply, Sprecher says, the big money managers won’t create digital currency funds unless they can first buy the tokens on a federally regulated exchange, and, second, store the tokens for their investors in accounts rendered super-secure by the safeguards provided overseen by federal regulators. Today, the tokens for cryptocurrencies such as Bitcoin and Ether aren’t traded at all on the major futures or securities exchanges. Official exchanges are overseen by the Commodity Futures Trading Commission (CFTC) for futures, and the Securities and Exchange Commission (SEC) for securities. The venues where folks exchange dollars or Euros for digital currencies—including the biggest ones such as Coinbase and Gemini—are often called “exchanges,” but actually markets with different kinds of oversight. These platforms fall under three main regulatory regimes: First, Coinbase and many other marketplaces are licensed in the individual states as “money transmitters.” Second, Gemini, the platform founded by Cameron and Tyler Winklevoss, is licensed in its home state of New York as trust company, and that designation is its passport to operate in a number of other states. The third category are markets called SEFs; more on them in a bit. Jeffrey Sprecher, chairman and CEO of Intercontinental Exchange, with his wife Kelly Loeffler, the chief communications and marketing officer of ICE, at the company's headquarters in Atlanta on July 27, 2018. The reason why these trading platforms aren’t governed by either of the two federal watchdogs—the SEC or the CFTC—relates to how the two bodies classify cryptocurrencies. The SEC, which oversees stocks, bonds, and other securities, has said that the two biggest cryptocurrencies, Bitcoin and Ether, are not securities. The SEC is taking a wait-and-see approach to the others. So far, none of the current marketplaces have secured the SEC imprimatur as regulated securities exchanges for digital tokens. Today, the Chicago Board Options Exchange and Chicago Mercantile Exchange both trade futures contracts on Bitcoin. The contracts aren’t settled by delivering the actual coins. They’re settled in cash based on the movement of the price of Bitcoin. So in effect, they’re a vehicle for betting on the future price of the cryptocurrency. The federally-regulated exchanges require clearing services that effectively remove credit risk for both the buyer and seller. The clearing house guarantees that the seller will deliver the sugar, coffee, or gold as agreed under a futures contract, and that the buyer will make the full payment. If either fails to perform, it’s the clearing house––which is jointly funded by the trading firms that are members of the exchange and its owner, in this case ICE––that makes good on the delivery or the cash. As for safe storage, it comes in two flavors: custody for stocks and bonds, and warehousing for futures. The SEC requires that a mutual fund or pension fund hold their stock or bond certificates in super-safe accounts at such independent custody houses as State Street or BNY Mellon. For futures, the CFTC mandates that the coffee, gold, or silver that a party has agreed to purchase be stored in a licensed warehouse or other storage facility when the contract expires and the commodity is due for delivery. In effect, the buyer, whether a money manager like Vanguard or a user such as Cargill, can “pick up” the gold bars or bales of cotton at the warehouse. If the items aren’t there for pickup, or if the seller doesn’t pay, once again, it’s the clearing house that covers the losses. Bakkt would provide the first fully-integrated package combining a major federally-regulated exchange, as well as with the clearing and storage overseen by the exchange. ICE owns six clearing houses that are vertically-integrated with ICE Futures U.S. and its other exchanges. By utilizing a CFTC regulated futures exchange for cryptocurrencies, Bakkt would provide two main layers of security that money managers regard as absolutely essential. The first is purchasing a security or commodity—in this case a digital token—through a regulated broker-dealer that’s a member of the ICE futures exchange. The exchanges stipulate that depositors submit passports and articles of incorporation, and identify the source of funds used to purchase the assets. They also search for patterns of illegal activity. If one investor is, say, repeatedly losing money on oil trades to the same counter-party, those trades would raise a red flag, because the “loser” could be laundering money and getting kickbacks from the buyer. Only broker-dealers and futures commission merchants (FCMs) that are fully vetted by the regulated exchanges are allowed to trade on those venues as “members” of the ICE Futures U.S. On SEC and CFTC regulated exchanges, the exchange-approved members are trading with one another, on behalf of money managers that they, in turn, have fully vetted. Granted the same protections, investors could be absolutely sure they’re not buying Bitcoin from warlords who hacked a hedge fund to pilfer the tokens. The second essential is furnishing regulated storage for digital currencies. “A qualified warehouse is the difference between institutional investors’ getting in or staying out,” says Loeffler. Bakkt’s approach is furnishing what amounts to super-safe lockboxes resembling the vaults that hold gold bars for investors. The warehouses serving futures exchanges provide two main services. First, they ensure that assets can’t be stolen. In Bitcoin’s case, that would mean safeguarding the tokens in digital lock-boxes protected by multiple layers of cyber-security. Second, the policies and procedures followed by the exchanges verify the identities of the investors whose assets are held in the warehouses, guaranteeing that that the gold or oil stored for delivery wasn’t obtained illegally. Bakkt will provide the biggest marketplace to date. But it won’t be the first or only CFTC-regulated platform trading Bitcoin tokens. The Dodd-Frank legislation created marketplaces called Swap Execution Facilities, or SEFs, that are overseen by the CFTC. (This is the third category of markets we mentioned earlier.) LedgerX, for example, owns a SEF that uses swap contracts to trade fiat currencies for Bitcoin called “Next Day Bitcoin”; it also provides custody services regulated by the CFTC. (Gemini and Coinbase also provide custody services.) The SEFs are far less established, and have far smaller base of institutional customers than the big exchanges such as ICE Futures U.S., but they are potential competitors in the years ahead. Here’s how Bakkt’s exchange for trading Bitcoin tokens, if approved, would operate. It would trade Bitcoin using what are known as “one-day futures,” contracts that would take the same amount of time to settle as trades in the current cash market, meaning in a single day. The broker-dealer would click on a posted price at anytime during the trading day on behalf of a money manager client. By the market close, the ICE clearing house would have arranged to route the cash from the buyer’s to the seller’s bank account, and the Bitcoin tokens would be en route the to the Bakkt digital warehouse. The clients entrusting their Bitcoin to Bakkt could be either institutions managing Bitcoin mutual funds, or companies making cross-border payments in Bitcoin. So how do those clients spend their Bitcoin? Control of “private keys” allow Bitcoin to be spent. Those keys are a randomly generated string of numbers and letters that resemble digital signatures. Most Bitcoin owners store their keys on PCs or servers, or in accounts at unregulated marketplaces. But private keys on those devices are vulnerable to hacking, and if the hacker steals the key, the hacker keeps the pilfered Bitcoin. Cyber-thieves have stolen more than $1.6 billion in cryptocurrencies by hacking investors’ accounts since 2011, according to Autonomous Research. Bakkt would solve that problem by storing the private keys “offline” in its heavily-guarded digital warehouse. When a fund manager or company wants take Bitcoin out of the warehouse, Bakkt would confirm the client’s identity and release the Bitcoin using the private key. The warehouse will also hold a second key, called the public key, that opens the recipient’s account to receive Bitcoin. The double-key security resembles how it takes a bank rep and the customer, both with their own keys, to open a safety deposit box. How about trades that occur all inside the warehouse? Bakkt would be connected to the ICE Futures U.S. exchange, so that customers could seamlessly trade Bitcoin for dollars or Euros. Then, the Bitcoin would simply shift from the seller’s lockbox in the ICE warehouse to the buyer’s lockbox, as if a forklift were transferring gold bars from one storage locker to another. To make Bitcoin mainstream, Bakkt must overcome the cryptocurrency’s chief drawback: its extremely slow speed. Bitcoin runs on a system known as blockchain, operated by a network of millions of individual members who compete to package and verify transactions. Essentially, every time a Bitcoin owner on the network buys anything using his or her digital wallet, the transaction is “broadcast” to all the “nodes,” or computers in the network. The nodes battle to prove the transactions are legitimate, and the winner is rewarded with free Bitcoin. The rub is that since all transactions—from purchasing a $1.50 cup of coffee to a $60,000 SUV—must be individually broadcast to all the nodes. As a result, the existing system can manage only around seven transactions per second. That’s much too slow to ever work on the institutional scale that Sprecher and Loeffler envision. Bakkt, however, would transform Bitcoin’s architecture to run at high speed. Imagine that dozens of mutual funds, pension funds, and endowments hold Bitcoin in the Bakkt warehouse. If Asset Manager A buys $200 million in Bitcoin from Asset Manager B, the Bitcoin tokens simply move from B’s account at Bakkt to A’s account at Bakkt, via a trade on the ICE exchange. The total number of Bitcoins held at Bakkt doesn’t change. Let’s assume that millions of those transactions happen every day, all inside the Bakkt ecosystem. Bakkt simply keeps a ledger of those offsetting Bitcoin debit and credits. The individual purchases and sales don’t need to be broadcast to the blockchain. What does need to be broadcast are any payments coming into or exiting Bakkt’s warehouse. Hence, so long as Bakkt controls a big share of the market, it would need to report only a tiny sliver of transactions to the blockchain, enabling its system to operate at warp speed. “Our system would operate on a layer above the blockchain, and we’d keep our own omnibus ledger apart from the blockchain,” explains Loeffler. The Bakkt design isn’t revolutionary. It closely resembles a technology called “the lightning network” that’s already in use. In the lightning network, the same two participants, say an appliance-maker and a parts supplier, engage in multiple Bitcoin transactions. As long as the parties are using a fixed number of Bitcoins to buy, sell from one another, and store for that purpose, the transactions aren’t reported to the blockchain, and zap back and forth within the same ecosystem. Once Wall Street gets the flywheel whirring, Bitcoin would gain the liquidity to become a bona fide currency. Sprecher and Loeffler predict that multinationals would then adopt Bitcoin for international payments. “The banks control international payments, and the system is very expensive,” notes Sprecher. When an U.S. auto parts manufacturer buys components from Japan, for example, it can pay stiff fees to convert dollars to yen. The purchase, at a minimum, involves a broker-dealer that makes the trade, and the purchaser’s and the seller’s banks. It might take two days before the seller can collect the yen, costing the U.S. producer interest while the funds are in transit. By contrast, if both parties use Bitcoin the payments could bypass the brokers and banks, flowing via the ICE exchange from the buyer’s to the seller’s vault held at Bakkt, and reaping big savings. Sprecher has demonstrated time and again the vision to transform global industries with technology. ICE’s foray into data, for example, is a testament to Sprecher’s agility. The company was a medium-sized player in data services until late 2015, when it purchased IDC, the leading provider of bond prices for institutional investors, for $5.2 billion. Sprecher’s timing was spot on: In two years, data has mushroomed into ICE’s biggest revenue category. The business splits into two main channels—exchange pricing, and analytics. For the former, ICE collects fees for dispensing different types of pricing from its exchanges, from such routine products as furnishing the “tape” to brokerage houses and TV networks to providing deep market data to high frequency traders. Most of ICE’s data runs through a secure, proprietary system of fiber and wireless grids called the ICE Global Network, built as a super-secure backbone by the NYSE following the 9/11 attacks. The IGN is connected to virtually every major money manager around the globe. Sprecher correctly predicted that money managers would need more and more data to create sharply-targeted mutual funds and ETFs. ICE supplies the data signaling when stocks should be added or dropped from, for example, a Japanese small cap value index fund. ICE doesn’t manage money. But besides selling data to fund managers, it purchased the former Bank of America family of indexes, and licenses them to investment managers. The ICE BofAML funds now boast $1 trillion in assets. Not surprisingly, Sprecher is aiming to disrupt the costly, old-fashioned bond trading universe, where most business is still conducted over the phone. When Sprecher bought IDC, the firm priced fixed income products once a day. Now, ICE sources real-time quotes on 2.7 million bonds and illiquid equities around the clock. That effort is part of his campaign to modernize bond trading by making the hidebound field fully electronic. To advance the project, ICE this year spent a total of $1.1 billion to purchase two digital fixed income platforms—Virtu BondPoint, a leader in corporates, and TMC, the largest electronic trading site for municipal bonds. He now indulges more in the nitty-gritty than the romance racing by lying on a mechanic’s creeper, wrench in hand, to repair exhaust systems and rocker panels on his collection of a dozen decades-old Porsches that competed at Le Mans, heirlooms that he loans out for vintage rallies. Jeffrey Sprecher, working on a 1973 Porsche 2.7RS in Viper Green at his home in Atlanta on July 27, 2018. The fledgling exchange stumbled for three years. “We were selling old routing equipment on eBay to raise a few thousand dollars,” says Chuck Vice, now ICE’s vice-chairman in charge of technology. Sprecher was about to lose his house to the bank when a trip to Manhattan in 2001 brought a reversal of fortune. At the time, Enron was pioneering energy trading, but it was the buyer or seller in every transaction. Only Sprecher was offering a major marketplace where utilities could trade directly with one another. On that trip to Manhattan, Goldman Sachs and Morgan Stanley told Sprecher they were wary of Enron’s dominance, and loaned $15 million to his exchange, saving the enterprise and Sprecher’s endangered residence. Then, in an astounding gambit, Sprecher handed 90% of his equity, basically for free, to thirteen banks, energy companies, and utilities, in exchange for their commitment to conduct a guaranteed volume of trades on his marketplace. In November of 2001, Enron collapsed. The next month, the volumes on Sprecher’s exchange soared 180%. Meanwhile, Kelly Loeffler––who grew up weeding soybean fields on her parents’ farm in Illinois––had traded a stint as a retail analyst in Chicago for a private equity position in Texas. Loeffler had spent about a year at the new job when her boss, the current Secretary of the Navy, Richard V. Spencer, announced that he was joining a struggling power exchange in Atlanta. Loeffler had studied the natural gas market, and was convinced the time was ripe for electronic trading. So she told Spencer she wanted to go with him. “I see a house that’s burning down like old fashioned trading in natural gas, and I want to run in and fix it,” says Loeffler. She joined ICE in 2002 when it still had fewer than 100 employees. Around that time, Sprecher bought the International Petroleum Exchange in London, once again, an antiquated open-outcry marketplace choked with floor traders shouting orders. As usual, the traders fought his campaign to go electronic, so Sprecher closed the exchange in the afternoons so that clients had no choice but to trade on their terminals half the day. All the action shifted to the evening hours, and by 2005, the IPE, now ICE Futures Europe, went fully electronic. Two years later, ICE bought the floundering New York Board of Trade, and engineered another painful but highly profitable transition to computerized trading. Late in 2008, Sprecher noted that the world’s big banks had no vehicle for selling the trillions of dollars in credit default swaps that would repay part of their losses on derivatives suffered in the financial crisis. Sprecher established a special clearing house for CDS that by 2010 auctioned off an astounding $50 trillion in CDS, helping to surmount a towering hazard to the financial system. Then, in 2013, Sprecher made his biggest and most prestigious acquisition to date by purchasing NYSE Euronext for $9.75 billion—more on the NYSE shortly––and in 2015, grabbed IDC in the deal that made ICE a major player in market data. Why does ICE keep making these big deals? “We’re like a network that keeps adding hit shows,” says Sprecher. In one of his signature stories, Sprecher relates that at a raucous board meeting for his condo association in Atlanta years ago, an argument erupted about a couple whose two dogs were regularly pooping in the elevator, sans cleanup by their owners. “Then this guy gets up and volunteers for what nobody else wanted to do,” says Sprecher. “He says, ‘I’ll take care of the pooping dogs problem.’ I was really impressed that he jumped right in.” Sprecher was looking for a can-do manager to run the exchange’s help desk, which was overwhelmed by customer complaints. So he hired the guy who tackled the canine problem—Mark Wassersug, who is now ICE’s chief operating officer. Sprecher also trusted his gut in promoting Stacey Cunningham in June to be president of the NYSE—the first woman to head the exchange in its 226-year history. Cunningham didn’t have the fanciest of resumes. She’d served for eight years as a specialist broker at the Big Board, then left to pursue a culinary degree. After a stint at NASDAQ, she returned to the Big Board, rising to lead sales management. Sprecher then chose her to straighten out a small legacy NYSE business that provided listed companies advice on corporate governance. “It was a nightmare,” he says. “The employees were always calling the whistleblower hotline with nothing to complain about. Stacey really straightened it out, and we were able to sell it.” Sprecher had no doubt that Cunningham could perform brilliantly running his trophy business. A Starbucks Reserve Roastery store in Shanghai, China. Starbucks wants to develop more digital payments options for its customers. Sprecher revitalized the Big Board by deploying just that strategy––radically paring bloated costs and channeling the savings into rebuilding one of the world’s great brands. When ICE bought the NYSE in 2013, Sprecher quickly raised roughly $2 billion by spinning off its European exchanges as Euronext. Even so, the NYSE still had over 3,000 employees and around 1,000 consultants. It was running six divergent tech platforms to operate its three major exchanges—NYSE, Arca, and American. It consistently lost trophy tech listings to the Nasdaq, then the darling of Silicon Valley. Its legendary building, the symbol of its iconic stature, was a wreck. The paint on its once grand, baroque Board Room was peeling, and the instead of opening what were once impressive meeting rooms on its sixth and seventh floors to its listed companies for fancy events, the NYSE had transformed those spaces into warrens of tiny offices. Many Wall Street traditionalists fretted that Sprecher would kill the Big Board’s allure by going all-electronic. But he did just the opposite, restoring the landmark at Wall and Broad Streets to its former splendor, and enhancing the legendary buzz on the trading floor. He found the money by radically improving the Big Board’s efficiency. A bunch of brainiacs sequestered on the 21st floor created a single tech platform called Pillar that replaced the crazy-quilt of trading systems, a coup that helped lower the headcount to 900. To restore its fading mystique, Sprecher cleared out the maze of offices and moved the employees to cubicles on the upper floors. Sprecher installed a spectacular staircase composed of backlit marble slabs to join the sixth and seventh floors. Those refurbished floors now house three giant reception halls and fifteen smaller conference rooms. “The idea was to turn the NYSE into a clubhouse for the Fortune 500,” says Sprecher. It’s happened. On one two-day stretch in early June, for example, no fewer than 10 companies held events at the NYSE. Retail payments is an industry that appears ripe for Sprecher-style disruption. Today, Americans charge $8 trillion in goods and services every year—over 40% of GDP—on credit and debit cards, and through digital portals such as PayPal. The stores and restaurants that accept those cards typically pay 2% to 3% to around six intermediaries, including “merchant acquirers” who sign up the merchants, credit card giants such as Visa and MasterCard, and the banks that issue the cards. So would ICE and Bakkt be antagonizing ICE’s main customers, the major banks? Not necessarily. Despite the large fees, banks typically make little money processing purchases, since they mainly return those fees to provide services such as fraud monitoring, call centers, and providing rebates that go to such rewards as frequent flyer miles and rental car discounts. Where the banks make big money is on the interest charged on balances on credit cards. Changing the purchasing system wouldn’t alter the amounts that folks borrow, just where they hold those balances. According to payment industry experts, the banks might cooperate with Bakkt, because the new system could actually encourage different forms of borrowing. For example, a customer whose Bitcoin purchase is declined because of a low balance could get an immediate loan from his or her bank, right at the checkout counter, to cover the shortfall. Sprecher restored what may be the greatest icon in financial markets. We’ll soon see if he can bring respectability to the token that he thinks can change the world.